I can’t tell you how many times Carter and Sophie ask in a day if they can craft something. Most days it’s them cutting and pasting a whole bunch of randomness into a masterpiece, however they also appreciate a craft where they are creating something that has been laid out for them. Something where there is a end result. Recently we had a chance to try out some crafts from Two Cheeky Frogs, a local Edmonton business that ships out custom themed craft boxes across Canada. 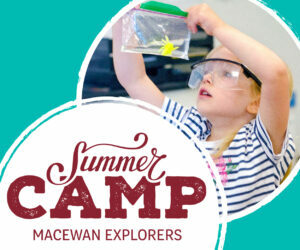 Created by a mom who is also an early childhood educator, each activity is created for kids 3yrs-8yrs and has your child’s learning in mind. Supplied with 3 separate crafts (a fox mask, bear bookmark, and an owl door hanger) and it was awesome to see how excited they were to start these activities. The themed boxes also included two ‘bonus’ activities (which will focus on math, science, and motor skills) along with a password to access another two bonus activities online. The great part is that all activities are functional. One of the great things about the packaging of these crafts is that they come packaged individually. There is no need to sort through and wonder how a piece belongs to a craft when it actually doesn’t, all items are pre-cut. There are also very detailed instructions to follow, so easy that Carter & Sophie didn’t really require much assistance. Because each activity is packaged individually it makes them an ideal activity to take on a road trip, plane ride, or to an appointment where the kids need something to keep busy. Each subscription box also includes all the supplies needed to put the crafts together. 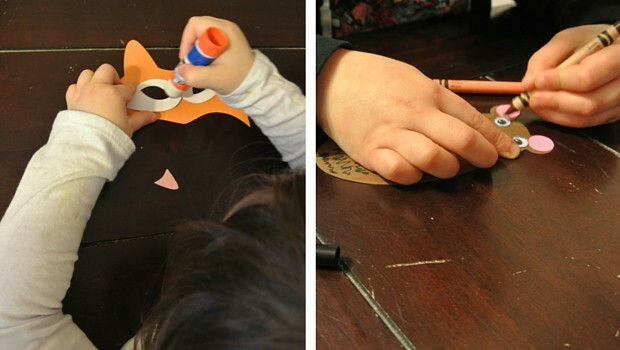 You don’t have to go searching for a glue stick or a dark brown crayon. Two Cheeky Frogs has you covered. 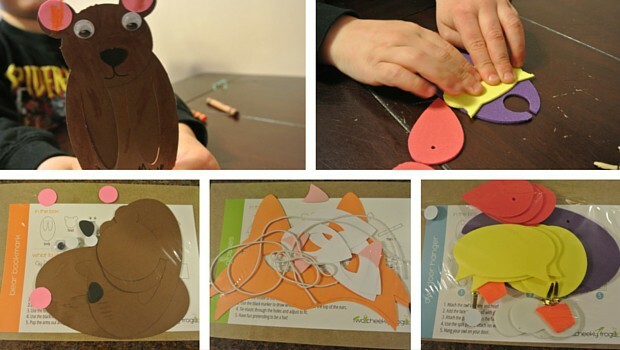 Each subscri ption box can be customized to include crafts for every child. Making it ideal for families with more than one child, day homes, daycares and other kids groups. Three month subscription boxes start at $20/month and six month subscription boxes start at $18/month for one child. Additional children can be added on for $5/each. 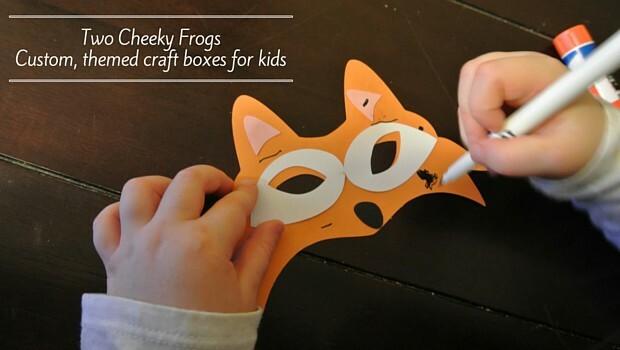 Want to try a Two Cheeky Frogs custom, themed craft box? Two Cheeky Frogs want to give you a chance to try out one of their monthly themed craft boxes! All you need to do is enter via the widget below. I would love to win for my son! I know he would just adore this! Thanks! My niece loves arts and crafts, she would think this is amazing 🙂 Thank you for the chance ! I would love to try out these boxes with my 3.5 year old. I am always trying to come up with things that will keep his attention but are quiet time activities (or at least not running around the house kind of activities)! Because my granddaughter love to do craft with me! My kids love crafts but as a mom who works full-time, I often don’t have the time or energy to gather together the supplies necessary to make fun crafts with the kids. I love that these come with the necessary supplies and instructions included! My granddaughter loves to do crafts and I think this would be right up her alley! My grandson has week end sleep over every week with me and we always a caft or two. This one is too cute I know he would love it! I would love to win this custom themed craft box from Two Cheeky Frogs because I want the kids to have new activities to keep their learning progress growing daily. I have two 6-year olds at home and they love crafts. This would take the guesswork out of one activity for me. I would love to win for my son. He loves doing crafts, and I would love to check out Two Cheeky Frogs to see how it compares to other craft boxes we have used before! Thanks for the chance. I love to do crafts with the little ones and these look great! I think my daughter would get such a huge kick out of it. I’d like it for her. I’d love to win this for my crafty girls! I know it would make hours of fun for them! My 7 year old daughter loves to do crafts so this would be perfect for us to work on together!